On needle row counter. 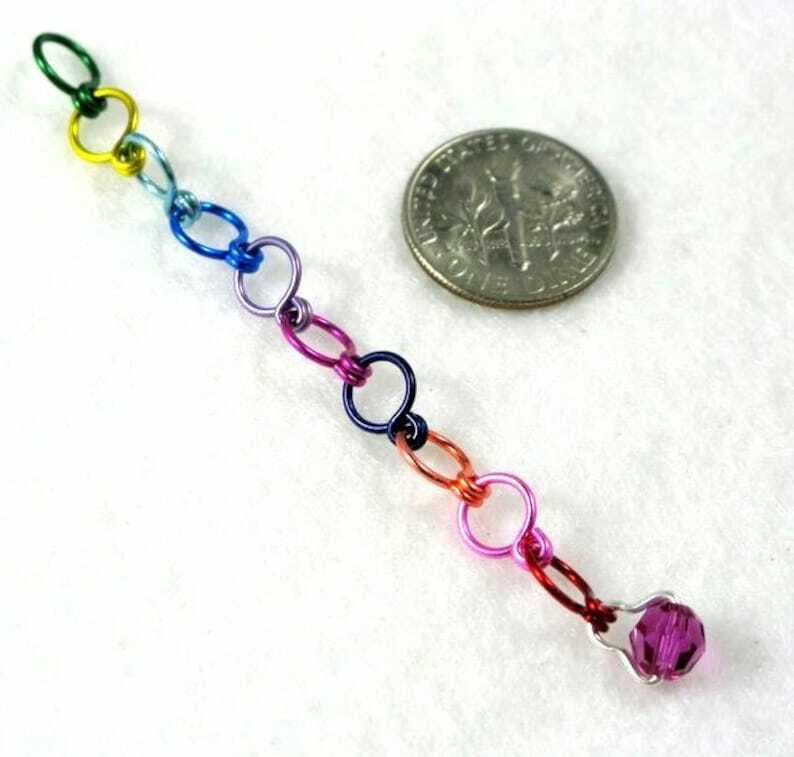 Counts up to 10 rows and fits up to a size US 5 needle. Snag free - No jump rings or split rings used. Rings are handmade from 20 gauge silver plated permanently colored wire. Start with the green ring and move towards the red ring with each row completed. Small (only about 3 inches long) and light weight. Includes Hide and Sheep storage tin. Love this. It is perfect! It shipped very quickly. Looks as described and works perfectly for me.